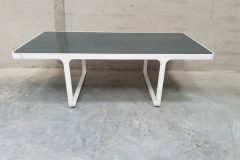 We have these contemporary Low White Coffee Tables in stock at the moment, which you can view more accurately by clicking the images on the left hand side of the page. We have one table with a dark grey top and one with a light grey top. 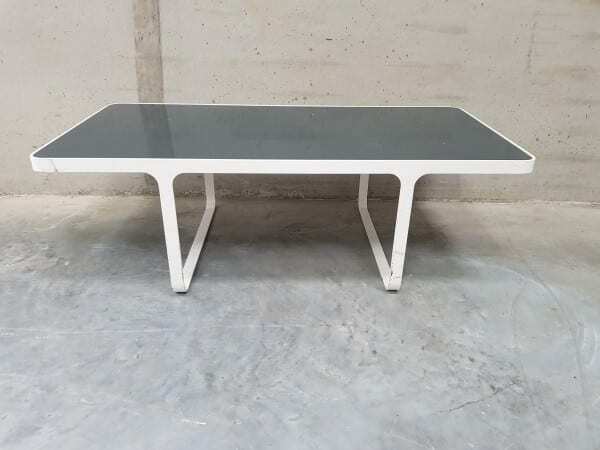 These minimalist tables will help to update any reception or breakout area. Dimensions: 1100 x 550mm. Please contact one of our sales team on 07944 508282 for more information. Or, just click on the Telephone Icon located at the bottom of this page, if you are viewing our website on a mobile device. 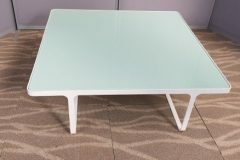 As always, these funky coffee tables can be viewed in our showroom along with all our other used office furniture.